Contemporary bag label LINDASIETO creates leather bags that are both raw + delicate through a combination of elegant + edgy elements. Contemporary bag label LINDASIETO creates leather bags with a touch of both raw and delicate through a combination of elegant and edgy elements and structured surfaces. Known for their signature slashed clutches and layered shoulder bags, each LINDASIETO bag is made using high quality Italian leather by skilled European artisans. 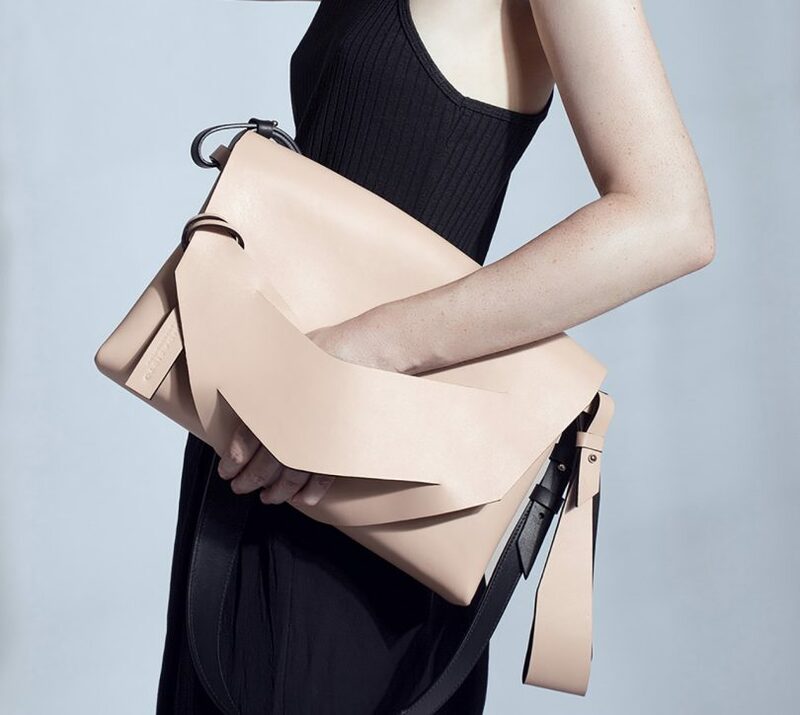 The Budapest-based company recently released their latest collection of experimental bags ? Close ? that focus on closeness and its interaction with perspective in both time and space. Subtle asymmetry and irregular shapes create an easygoing, diverse collection of bags that are full of character. “With this collection I wanted to explore – visually and in the tactile sphere – possible meanings of closeness and distance, both literally and figuratively. Things we keep a distance from (time or spatial) at first or superficially can look very clear and easily definable, but as we get closer we often have to reevaluate our original perceptions, and realize how blurry they really were, as the reality is more complex and interesting than we thought from afar,” says founder Linda Sieto.